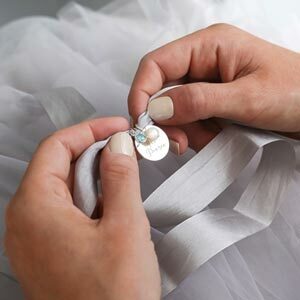 Our Sterling Silver Sia Family Name Personalised Necklace is designed to combine your choice of names around the edge of its beautiful sterling silver pendant. 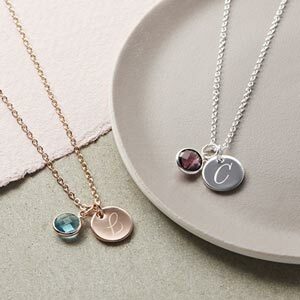 This Sia necklace features a large, beautifully polished pendant with an integrated loop and is personalised with an italic script font running around its edge. Both the chain and pendant are available in silver, rose gold or champagne gold and can be personalised with up to 30 characters leaving you loads of space to combine a number of names around its curved edge.